Liver Cancer. Cancer may arise in almost any organ of the body. When it begins in the stomach or large bowl, the liver may soon be involved, mainly because the blood flows toward the liver from all the digestive organs including the pancreas and gallbladder. 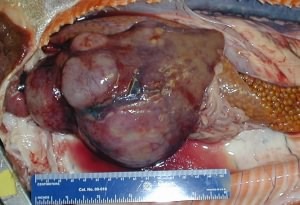 This is referred to as metastases carcinoma. In other words, the cancer has come from some other part of the body. Very few cancers actually a rise the liver. Most of them come from elsewhere. Hence the earlier the diagnosis is made, the better the patient’s chance of recovery. Once the cancer has begun to grow within the liver, it spreads rapidly, eventually causing jaundice and swelling in the distant tissues. The condition resembles cirrhosis, but is more serious. There is no specific treatment, only good nursing care, keeping the patient comfortable. Hepatitis B virus (HBV) infection is the main causes of liver cancer. Liver cancer relates to (correlates with) the frequency of chronic hepatitis B virus infection. Studies in animals also have provided that hepatitis B virus can cause liver cancer. 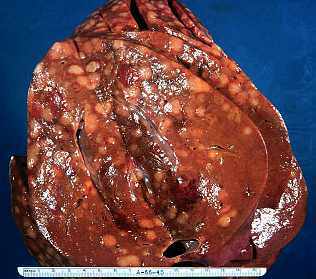 For example, liver cancer develops in other mammals that are naturally infected with hepatitis B virus-related viruses. Finally, by infecting transgenic mice with certain parts of the hepatitis B virus, scientists caused liver cancer to develop in mice that do not usually develop liver cancer. 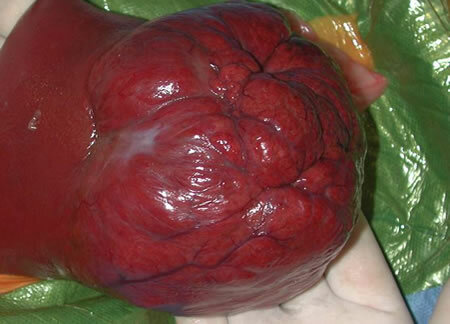 The treatment of liver cancer is overall condition of the patient. First treatment if liver cancer is Chemotherapy. Chemotherapy is a powerful drugs to kill cancer cells. Chemotherapy is anot effective not some cases of liver cancer but type of chemotherapy is known as chemoembolization is an important part of treatment for HCC. Chemoembolization causes many of the same side effects as other forms of chemotherapy, including abdominal pain, nausea and vomiting. Second treatment is surgery. Surgery is best treatment for localized resectable cancer is usually an operation known as surgical resection. In some cases, the area of the liver where the cancer is found can be completely removed. Alcohol injection has been shown to improve survival in people with small hepatocellular tumors. It may also be used to help reduce symptoms in cases of metastatic liver cancer. The most common side effect is leaking of alcohol onto the liver or into the abdominal cavity. Is there any posibility of spreading HCC,if the effected area is surrounded by fibrous connective tissue?